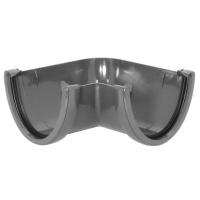 FloPlast Anthracite Grey High Capacity Guttering 135 Degree Corner. 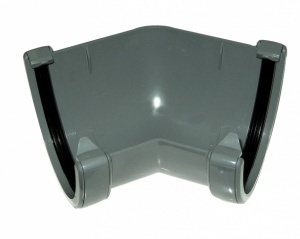 New from FloPlast their Anthracite Grey High Capacity Gutter system. 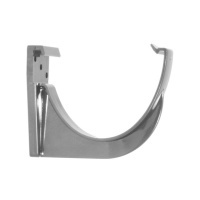 This fitting suits the Semi-elliptical High Capacity Plastic Guttering system from FloPlast which measures 115mm across the open top and 75mm deep. This Hi-Cap Plastic Guttering System is ideal for large roof areas where the Plastic Commercial Gutter System would not achieve the correct look. This range carries a 10 year guarantee.